ListCaboodle - Fun, entertaining and cool lists. The best driving songs tell a story of adventure and freedom. Like the road ahead, these songs take us on a journey; looking for love, running from the law, or just moving on. 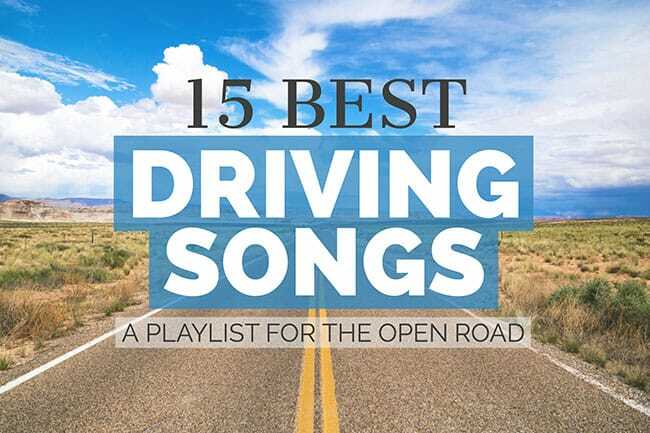 We’ve assembled a list of 15 of our favorite driving songs along with key lyrics. Reacquaint yourself with an old favorite or sample something new. You’ll find this music has a tempo and energy best suited for the open road, and sounds even better rolling down the highway. So roll the windows down, turn the music up and hit the gas. ‘Cause I’ll have the only one there is around. I’m a-workin’ for the state I’m The Highway Patrol. Music lovers: Check out these 31 song lyrics that changed how we talk. This is just a small sampling of the multitude of driving songs ever recorded. We hope you have rediscovered an old friend or perhaps uncovered something new. Now take your songs out on the open road! Music lovers may also enjoy the top Motown songs: the singers, stories and fun facts.